Some of the St. Lawrence lighthouses may be more imposing, but few have more charm than this 3 bedroom inn. Abandoned in 1964, only 102 years after it was first commissioned, the Pot a l’Eau-de-Vie lighthouse was restored in 1989, turning it into a cosy inn furnished in the spirit of the 19th century. It is now a classified federal heritage building. 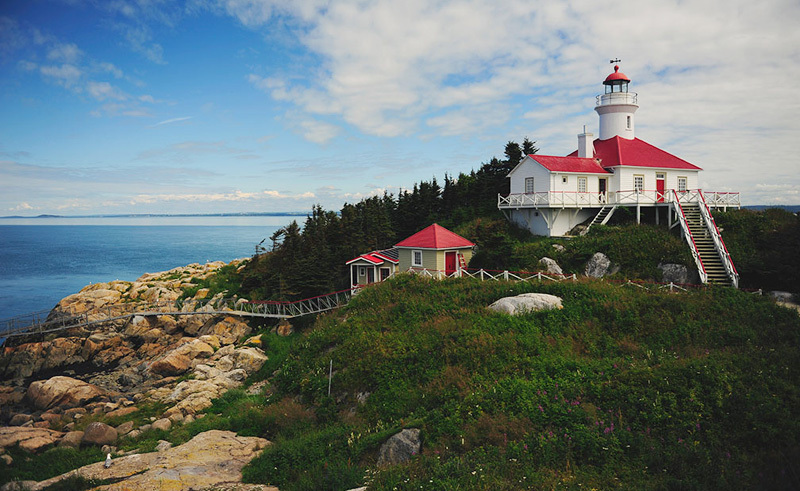 Your stay in this intimate inn will include return boat transfers with wildlife spotting from Riviere du Loup to the island, accommodation on a half-board basis and access to the Pot du Phare walking trails (some trails will only be open once the birds have completed nesting in early July). Facilities at the lighthouse include three rooms with double bed, sink in two of the rooms, shared upstairs bathroom, telescope available for observing marine birds and lighthouse tours available at all times.